Founded in 2015, Balestier Press is an independent publisher proudly presenting the hidden gems of contemporary world literature. We enable a greater variety of original voices to be heard by collaborating with writers, translators, and illustrators worldwide, with the belief that the beauty of literature can connect different cultures and people across borders. World Literature Award winning literature in a globalising world, literature in translation, young-adult fictions, and picture books. Much diversity and value from world literature remains to be explored by readers around the world. We are proud to present exciting, high-quality authors and illustrators, translated by some of the best in the field. Hearing Others’ Voices book series: A transcultural and transdisciplinary series designed, in simple and straightforward language, to inform and engage general readers, undergraduates and, above all, sixth formers in recent advances in thought, unaccountably overlooked areas of the world, and key issues of the day. 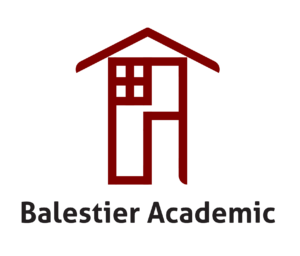 Balestier Academic publishes peer reviewed academic monographs, proceedings, protocols, contributed volumes, and educational materials in Humanities, Social Sciences, and Natural Sciences.